"...cheap, and offers enough levels to keep most learners on track." 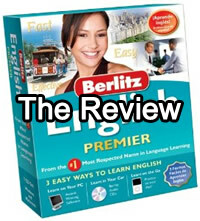 Berlitz English Premier is an English learning Language system or software that helps people learn English. According to most online customer reviews, the software is among the best English language systems/software courses available in the market. The course is available in different levels for beginners, intermediate and advanced learners. According to most users, the system is great for personal, business and travel use and also if you are interested in learning English as fast as possible i.e. within 30 days. Before analyzing the course further, it is important to look at the brief history of the company that makes Berlitz English Premier to know exactly what to expect. Berlitz was founded over a century ago (135 years ago) by a language tutor called Maximilian D. Berlitz. He founded the company in 1878 after coming up with a new method of teaching languages (Source: Wikipedia). He used a unique approach known as the Berlitz Method which became very successful earning him a gold standard in language instruction. For over 135 years, his company has helped millions learn and speak new languages. His company has also helped international and cultural organizations break cultural barriers successfully. Currently, Berlitz is the leading provider of language training courses and cultural consulting services worldwide. At this point, it is accurate to assume that Berlitz English has been made by one of the best and most experienced team of language tutors in the world. The fact that the company has an excellent track record for 135 years is enough to convince you to buy the English course. Let ua however take a more in depth look at the course before we make any assumptions. What do you get with the Premier package? When you buy the Berlitz English software for $39.95, you get the following; 4 Audio Berlitz CDs, iPod exercises, interactive games, flash cards and free email support. The price is extremely reasonable compared to the price of similar language courses in the market i.e. Rosetta Stone which costs over $355.98 and doesn't offer features such as interactive native speaker videos, notes recording functionality, custom vocabulary lists e.t.c It is however important to note that there are many other English learning systems costing below $30 that can match the Berlitz English system. Further on description, the resources you get with Berlitz English will help you perfect your accent using advanced speech recognition. You will also be able to play interactive language games that make it fun to learn English. You will also have access to videos of English native speakers to help you perfect you're English. All this will be done at your own pace. It is easy to use the language learning system. The main system features are designed to engage learners to make the process of learning English fun, easy and interactive. The language learning system will help you learn English faster than most English learning courses in the market today. It is important to note that the Berlitz English learning system has been used by very many notable organizations worldwide. You are not buying just any other English learning course. Institutions such as the US Defence and State departments have used Berlitz English before successfully. Also, the language learning system has been used by many fortune 500 companies. There is simply no other English learning system that can match Berlitz English standards and effectiveness. Below are the main benefits of the Berlitz English learning system according to Berlitz Company that should convince you to buy the system. You can learn English at the comfort of your home: The Berlitz English language learning system is designed with Windows and Macintosh capabilities. You can be able to learn English at home comfortably using your personal computer. The system engages users in 4 main ways that help you learn English in a faster and more effective manner. For instance you can learn English through Audio learning, multimedia learning, flash card system and speech analysis. Audio learning simply involves learning English through actual conversations. Multimedia learning involves learning using videos. The flash card system helps to reinforce your learning while speech analysis helps to improve pronunciation using practice conversations. You can learn English on the go: This is another benefit of the Berlitz English learning system. As mentioned above, the Berlitz English learning system comes with 4 audio CD's that can be used to learn English while you are on the go i.e. in your car while you drive. Most English learning courses in the market under $100 don't have tailor made audio CD's for mobile learning. These resources are very important for busy individuals who don't have time to learn English in central stationary locations. The Berlitz English learning system simply allows you to learn English while doing other tasks i.e. jogging, walking e.t.c. using mobile devices such as iPod's, Smartphones. e.t.c. which is very convenient. This pro can double up as a con when you consider the dangers of multitasking i.e. driving while learning. The language learning system has a variety of levels: This is another important benefit of the Berlitz English learning system. Very few language learning systems in the market today offer the kind of level variety you get with the Berlitz English learning system. This makes the system suitable for any kind of English learner. 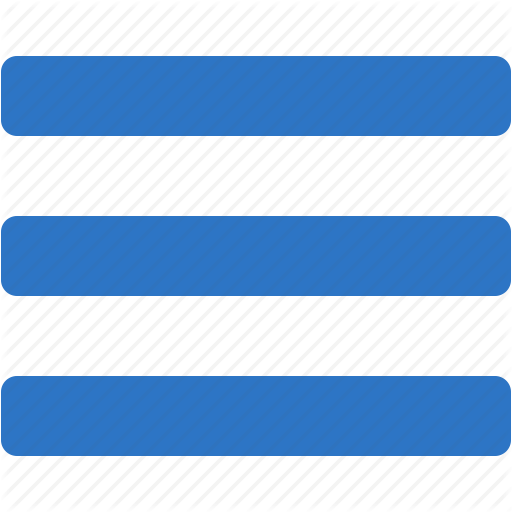 As mentioned above, the system has 3 levels namely beginner, intermediate and advanced. If you want to start learning English from scratch, the beginner level is perfect for you because it teaches you the basics i.e. greetings, introductions, numbers e.t.c. The intermediate level concentrates on improving pronunciations through conversation. The advanced level helps to give you the confidence you need to express your opinions and ideas while speaking English. This level will help you speak English like a pro native English speaker. The language learning system is cheap: This is another important benefit of the Berlitz English language learning system. The system is cheap considering it costs you $39.95 to get a variety of resources i.e. flash cards with over 1000 vocabulary phrases and words. Most English learning systems offering the same kind of resources cost over $100. The system is also cheap considering it is prepared by a renowned language company with over 130 years of experience in language tutoring. Money back guarantee: Another Berlitz English benefit is you get a 6 month 100% money back guarantee. Most language learning systems don't come with guarantees allowing you enough time to test the system. In case you don't find the system useful, you can return it before 6 months are over to get a full refund. In summary, the Berlitz English learning system is effective. Very many customer reviews support this fact. The system however doesn't lack cons. The most notable con is the lack of depth. Although the system costs $39.95, the course also offers less value than other courses on the market. The half-year money back guarantee is awesome. Despite these cons, Berlitz English is still the best English course on the market.